The United Kingdom has pulled away from the precipice. Scottish people voted against independence, and we remain the same multinational country as before. But the basic problem is not solved. Bad judgement or malice on the part of leading English politicians could yet tip us over the edge, and smash Britain into its constituent nations. This was what happened to the Soviet Union in 1991, when that country, made up of its fifteen constituent republics, took a running leap into the unknown and was fragmented into pieces. No doubt, the comparison between USSR ’91 and UK ’14 is far fetched. The collapse of the Soviet Union was part of the massive geopolitical reordering that also included the demise of the whole Eastern Bloc, the humiliation of ‘Communism’, and the end of the Cold War, whereas the Scottish referendum seems rather more parochial. But the comparison can fruitfully be pursued in two ways, and British people might find themselves better understanding today’s Russians — and themselves — if they reflected on them. The USSR and the UK had one obvious thing in common. People everywhere spoke about ‘Russia’ when they meant the Soviet Union, just as they say ‘England’ instead of Britain or the United Kingdom. Formally speaking, Russia was only one of the fifteen Soviet republics which combined together into a single country. But, like England in the UK, it was overwhelmingly the largest in geographical size; its people were a majority of the total population; its capital city was the location of the most important institutions of the state; and yet it lacked some of the same representation that the other republics enjoyed, such as its own branch of the Communist Party. The historian Geoffrey Hosking argues that Boris Yeltsin’s merciless exploitation of these paradoxes was the immediate cause of the Soviet Union’s collapse. We might speculate that any UK politician who plays with similar fire — talking about English votes for English laws, demanding autonomy for the dominant partner in a multinational state — is wittingly or unwittingly risking the break-up of Britain. 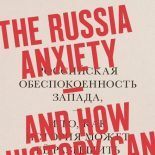 Scottish independence might lack the world-historical dimensions of the end of the Soviet Union. But remembering the Soviet collapse would not only help us better understand today’s Russia, only two decades on from the great trauma of 1991, it might also make British people think more acutely about the risks we are taking with our own national future. This entry was posted on October 16, 2014 by beyondthekremlin in Russia past and present and tagged end of the USSR, Russia-and-the-West.